In 2011 I must have listened to over 100 new electronic albums, give or take. And while I felt the quantity of good synthpop releases had fallen compared with previous years, the number of quality electronic albums in general was a joy and inspiration. Here then are my Top 20 Electronic Albums of 2011, covering synthpop, electro-industrial, psy-trance, “hauntronica” and all the synthetic sounds in between. 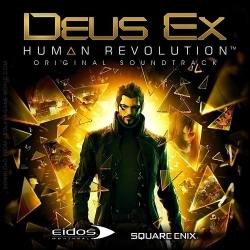 From a game that explores themes of transhumanism, religion, politics and philosophy, Michael McCann’s music for Deus Ex: Human Revolution is not only the best soundtrack album of the year but also one of the best electronic albums. Tangerine Dream, Vangelis and Blade Runner are obvious starting points for this prog-electro synth-ambient collection, but as with the game there’s an organic feeling running through the technologica thanks to choice use of vocals and other instruments. The quality of this standalone music is testament to the depth and maturity of the videogame industry, so don’t be put off if you’re not a gamer and think game music ends with 8-bit Nintendo bleeps! It’s funny how a poor choice of opening track can tarnish your initial enjoyment of what turns out to be a great album. 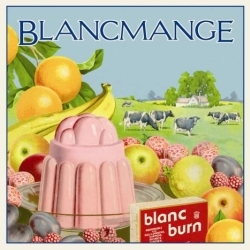 Track 1 on Blanc Burn, Blancmange’s first album in 26 years, is an awful B-side that should never have made it onto the album, let alone as the opener. Fortunately things get a lot better and by the time you get to “The Western” you realize how much you’ve missed Blancmange and their quirky English synthpop charms. Despite a bit too much autotunification there are many classic Blancmange songs here, with nods to Client (the stark synthpop of “Probably Nothing”), Kings Have Long Arms (the Blackpooltronica of “Don’t Forget Your Teeth”) and Faithless (the lyrics on “I’m Having A Coffee” are silly but still make me smile despite myself). After what I thought were a couple of mediocre albums, Lowe finally hit the mark with Evolver, a first-rate album that sees the band find their sound and lift them above the “me too” European synthpop and new wave artists. While there are still several upbeat synthpop numbers, overall Evolver has a grittier, darker sound that takes Songs of Faith and Devotion-era Depeche Mode and runs with it. Similar to Tenek, Lowe mix in new wave elements and real instruments resulting in a broader palette and greater song variety. Single “Breath In Breath Out” is one particular highlight, but on the whole Evolver is a fine album from start to finish. The much-anticipated new Autodafeh album didn’t really live up to my expectations, but fortunately Armageddon Dildos came back with a blinder of a release. Trading blows with Front 242, Rammstein and Rotersand, Armageddon Dildos pump up the EBM to make Untergrund one of the electro-industrial highlights of the year. With some songs in German and some in English, several tracks hark back to the 1990s heyday of industrial rock, while EBM tracks like “Bodyworker” balance the sound to keep Untergrund essentially an electronic album. I’d never really listened to Armageddon Dildos before, but on the strength of this release it seems like I’ve got some catching up to do. My favorite progressive trance album this year scores bonus points due to a fabulous cover of Depeche Mode’s “Photographic,” tranced up and digitized for the 21st century. 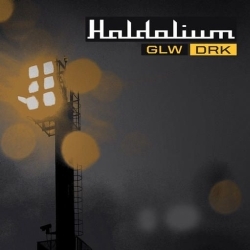 Many songs have vocals and speech samples (particularly from former British political leaders) which helps expand Haldolium’s reach out of the trance genre (reminiscent of Infected Mushroom’s growth from their psy-trance roots). GLW DRK’s production is tight and sharp, but what sets them apart from most progressive trance acts is the complex song construction that constantly changes and surprises. Like so much prog trance it’s still great music for driving or working to, but pay closer attention and GLW DRK rewards you with hidden depth and flair. Five years on from Bodypop, And One continue their successful hybrid of EBM and Depeche Mode-flavored synthpop with Tanzomat. 2011 was nothing if not controversial for the band: personnel changes, record label trouble and ill-advised airing of dirty laundry in public, but despite all this they were still able to put out a fantastic record. Sound-wise not too much has changed in those five years and for me that’s a good thing: Tanzomat contains any number of potential singles, with Naghavi’s smooth vocals and intelligent, satirical lyrics (all in English this time) running through the album. “Playing Dead” is a particular favorite of mine, with a terrifically foreboding atmospheric build-up leading to a dark tale of a numbed and abused Geisha girl. I have a confession to make: although I claim to love synthpop in all its shapes and forms, I’ve never been a fan of John Foxx. Metamatic passed me by, and when I finally saw him live supporting the Human League a few years ago I was equally dismissive. So I had no baggage or expectation when I first put on Interplay and was able to listen to and judge the album on its own merits. 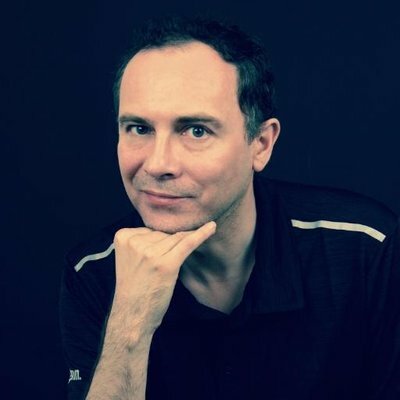 Co-written and produced by Ben Edwards, Interplay covers a range of synth styles including minimal EBM (“Shatterproof”), Kraftwerkian (“The Running Man”) even early Human League (“The Good Shadow”). There’s a strong analog feel and perhaps intentional rawness to many of the songs here, lending this album a timeless quality. 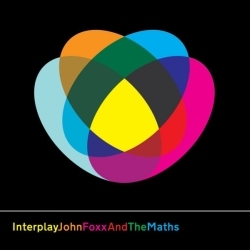 I don’t know John Foxx’s work well enough to say whether this is representative, but on the basis of the songs here it’s about time I made a re-evaluation. Consider me converted! 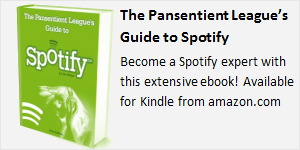 Mixing satire, social commentary, self-deprecation and instantly recognizable album artwork, WTF?! is KMFDM’s seventeenth album – in incredible achievement, made all the more impressive given the consistent quality of the songs here. WTF?! is instantly recognizable as KMFDM, but Sascha Konietzko and co. have honed and refined their trademark sound, adding another language to their repertoire (Italian this time) and have a back-catalog of varied styles to build on that each song here is unique but still buzzing with electro-industrial energy. WTF?! is the best KMFDM album since Symbols and the best example of industrial-metal dance music I’ve heard this year. 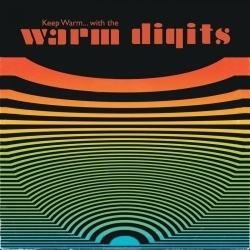 Warm Digits are a North English duo with a new take on an old sound: this is Krautrock, but not quite as you know it. Warm Digits coined the term krautronica to describe their sound, and I think that’s the perfect description. Krautrock usually has some form of electronic sound amongst the motoriks, but Warm Digits uniquely bring this electronica to the fore. There’s still live drums and guitars throughout, but every track also has a gloriously large dose of synthetic sounds. Touch-points include Can, Neu! and the like, but you’ll also get a sense of Giorgio Moroder and kosmische disco; Lindstrom, Arp and Eno. With Andy Weatherall recently singing their praises on BBC 6 Music, things are certainly heating up for this innovative band. Every Emika single (four in all) leading up to this long-player release had left me enraptured but also slightly queasy, thanks to the excess of low frequencies: watch your bass bins with this one! Emika’s style of hauntronica is the logical successor to Portishead, mixing trip-hop with dubstep, techno and a skill with sound design that makes the hairs on the back of my neck stand up. This album is spooky, claustrophobic, slightly sinister but charged with electro-sexuality. I do usually skip over two or three tracks but the rest of the album makes for superbly intense late-night listening. The radiophonic introduction on Gods From Outer Space gives no clues as to what to expect next: this is in fact the best Hi-NRG disco album since the 1970s. Oozing retro disco glitterballs and proto-Stock Aitken & Waterman, Den Haan camp it up like the children of Bobby O and sound like they’re having the time of their life. Many bands in 2011 attempted the Italo sound, but only Den Haan remembered that it came from the discos where sitting out a dance was not an option. “Universal Energy” sounds like an authentic lost Divine song, while songs like “Release The Beast” and the fabulous single “Night Shift” have a macho electro confidence not heard for decades. 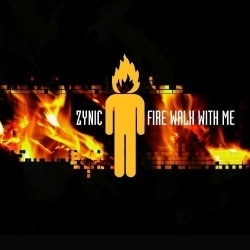 Zynic signed to Conzoom Records earlier in the year and soon released their debut album Fire Walk With Me to the unsuspecting synthpoperati. This is up-beat happy synthpop (although watch out for a few unfortunate swear words in a couple of the songs) with an album full of catchy songs that could only have come out of Europe. “Shadow Framed Memories” features a Twin Peaks sample to tie-in with the album title, while “Who’s To Blame?” is reminiscent of primetime Alphaville. I’d worried for Conzoom Records when their star turn Parralox moved on to Warners, but Zynic came out of nowhere to produce the best euro-synthpop album of the year. 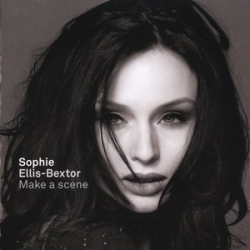 Make A Scene is Sophie Ellis-Bextor’s fourth album and I think it’s by far the best thing she’s ever done. With collaborations from the likes of Calvin Harris, Armin van Buuren, Ed Harcourt, Richard X, Freemasons and Metronomy, Make A Scene could have been a total mess but it’s not: it flows really well and there’s barely a bad track on here. Stylistically it varies from dance through club, house and synthpop, but essentially Make A Scene is simply a fantastic pop record. 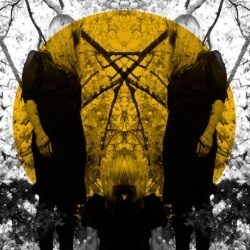 Austra may have picked up a mis-labelling as a Witch House band (helped along by their cover artwork and track names like “Spellwork”), but they have a focus and consistency not usually found in that genre. Feel It Break is dramatic hanutronica and has been on my playlist rotation since I first heard the superb single “Beat and the Pulse” at the start of the year. Much has been said of Austra’s erotically-charged videos and the fact that they’re a “lesbian band,” but for me it’s always and only about the music. Feel It Break is an album of cinematic synthpop, with Katie Stelmanis’ other-wordly voice asserting herself over the sometimes stark electronics. The gothic vein of coldwave often draws comparisons with The Knife and Zola Jesus, but the lyrics here are more dramatic and the vocals more operatic than either. 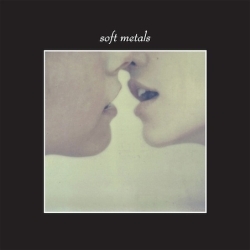 Citing Chicago House, early industrial and Italo-disco as influences, Portland’s Soft Metals successfully weave a synthpop line with their splendid self-titled debut. There’s still an undercurrent of hauntronica and Italo soundtrack, but Patricia Hall’s vocals and the bands sense of melody push this album into one of the most notable synthpop releases of the year. Tracks like “Voices” may initially sound like Ladytron or Marsheaux but it evolves into something altogether unique, and “Psychic Driving” shows a loving heart missing from most of their more twisted chillwave contemporaries. 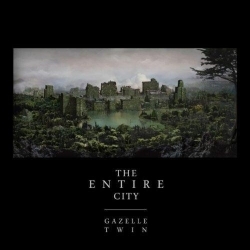 The enigmatic Elizabeth Walling is Gazelle Twin, whose jaw-droppingly good debut album The Entire City I’ve played endlessly. Taking her cues from Karin Andersson and The Knife, Gazelle Twin brings some seriously deep and contemplative soundscapes to contemporary electronica. This is not so much an album as a piece of art. 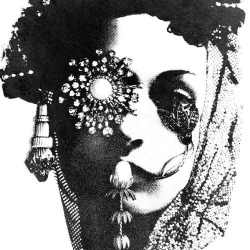 I dubbed it hauntronica in an attempt to describe a sound that draws on noir-synthpop, Witch House and the baroque existentialism of This Mortal Coil and Dead Can Dance. But the city in this album is surely from the future, a post-apocalyptic time when only now can the healing begin. Vocals are treated on most tracks lending them an eerie, alien quality that suits the atmospheric electronics perfectly. Chilling and uplifting in equal parts, no other album this year has had such a profound or emotional effect on me. Slowly but surely, VNV Nation’s eighth studio album Automatic has been creeping up this Top 20 list since I first put on the CD a few months ago. “Composed by Humans – Built with Machines” proudly proclaims the booklet, and Automatic contains more humanity and emotion than any guitar band I’ve heard this year. This is the most mature and consistent album VNV Nation have ever made; even the traditional “filler” opening track has repeat-value this time around, using radio signals and piano solo to introduce a sense of melancholy for a treasured past. The theme of 20th-century technology making way for a 21st-century future gives Automatic a purpose and coherence that (for the most part) works throughout the album. On one level this album may seem to offer nothing new to existing fans (except for the Hi-NRG surprise of “Streamline”) but I think that’s missing the point: an album should be judged on its own merits. No other band can merge the hardness of EBM and futurepop with a heart and soul that leaves me fist-pumping the air one minute, holding back tears the next. There’s an epic, anthemic feel to Automatic and a maturity that raises it above its component songs. 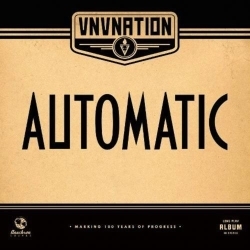 If you’ve heard VNV Nation before but dismissed them, give Automatic a listen: it’s a treasure. 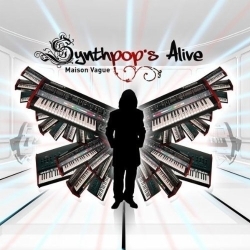 A Best of the Year album must have no filler at all, and Maison Vague’s Synthpop’s Alive delivers a perfect 10 tracks. Unashamedly and gloriously old-school synthpop, lead wizard Clark Stiefel’s obvious love for this genre is a joy. Synthpop’s Alive sounds like classic-era Gary Numan on happy pills: a loving, tongue-in-cheek homage to that Decade-That-Must-Not-Be-Named with gloriously over-the-top synth flourishes, masterful song construction and lyrics that still make me smile some 11 months since I first heard the album. Synthpop’s Alive might not be to everyone’s taste, but if you like Gary Numan, Devo, Freezepop or the fun side of synthpop then you’re bound to fall in love with this album like I did. Synthpop’s Alive is the freshest synthpop album of the year and an absolute pleasure to listen to. A pop-noir approach that insists on gravitas and deeper meaning, Lights and Offerings is sophisticated and stylish music that nevertheless retains a synthpop heart from beginning to end. 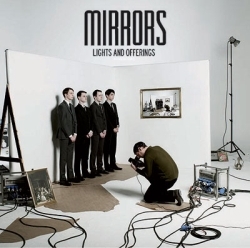 Having championed Mirrors back in March 2010, Lights and Offerings was one of my most anticipated releases of the year and I’m glad to say that it’s everything I’d hoped for: a classy, intelligent album, sometimes for brooding, sometimes for dancing, but full of wonderfully crafted pop songs. I listened to many, many albums in 2011 but Lights and Offerings was one of the few records I kept on going back to again and again. There are obvious nods to Orchestral Manoeuvres in the Dark (and to a lesser extent Kraftwerk) throughout, but while say OMD’s Dazzle Ships only had two or three good songs amongst all the artiness, Lights and Offerings is chock-full of potential hit singles that would have guaranteed the band massive success had it been released in the early eighties. The crisp production is thoroughly 21st-century however, and no song breaks the spell or sounds out of place. Lights and Offerings helped bring the zeitgeist retromania from last year’s 1982-isms to this year’s ode to 1983: the new new-wave has matured thanks to these well-dressed boys from Brighton and I dearly hope we hear more from them soon. It’s been ten years since their last album, but 2011 saw the return of The Human League with the magnificent Credo. Everyone has a favorite band and for me it’s always been The League, so please excuse me if what follows seems a little over the top. I’ve spent ten months listening to Credo and I can confidently say that it’s among the best albums The Human League have ever made. Producers I Monster have done a sterling job on Credo: they’ve retained a core Human League sound and made it both retro-synthpop and sparklingly modern at the same time. Opener “Never Let Me Go” may feature some heavy autotuning, but it’s a fantastic song that contains everything that makes The Human League what they are: brilliant song-writing, catchy chorus, real vintage synths and even some Dare-era drum sounds. Every song on this album has something going for it: “Sky” brings Philip Oakey’s vocals to the fore, in a beautiful track that’s without doubt my favorite song of the year. “Egomaniac” is Credo‘s sermon, with Oakey using his sterner spoken-word vocal style to deliver a cautionary tale of blind self-faith. “Night People” fits in so many hooks and flourishes it could easily have been 60 minutes long and still be inventive. “Privilege” shows that The Human League can still write relevant political lyrics when they put their minds to it, and “When The Stars Start To Shine” is the best album-closer of the year. 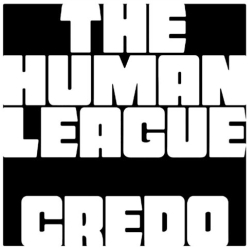 Of course I’m biased here, but I think Credo is an album full of flawless pop songs and heralds a magnificent, triumphant return for The Human League. If Credo marks the end of the second golden age of synthpop then we can be proud to have been represented so perfectly by the best in the business. There are a few deliberate and/or unfortunate omissions from this Top 20: here are some albums you might have expected to see in the list but are notably absent. John Maus – We Must Become the Pitiless Censors of Ourselves. I tried listening to this a few times but just couldn’t get into his vocal style. Covenant – Modern Ruin and IAMX – Volatile Times. Neither are on Spotify so I didn’t get much of a chance to listen to either. Bjork – Biophilia. I’m still waiting for her killer comeback album but this ain’t it. Ladytron – Gravity the Seducer. A couple of good singles on here but I found the rest of it a bit dull. Duran Duran – All You Need Is Now. A superb album and fantastic return to form, but not really electronic so reluctantly not included here. While there weren’t quite so many good synthpop albums in 2011 compared to previous years, there were many excellent singles, EPs, and other standout individual tracks. I’ve been building a Spotify playlist all year to make the Pansentient League’s Top 100 Electropop Songs of 2011!